Lemon makes my tastebuds sing…well when it’s in dessert form. Think lemon cake, lemon butter, lemon cheesecake, lemon sugar pancakes…you get the picture right? We’ve been without an oven for a couple of weeks while we waited on a new element. It’s cold here in the South of Australia and normally my oven would be working overtime delivering good ‘n tasty comfort food. Instead it’s been stir frys, sausages with mash and pasta and no home baked goodies. The way to my misters heart is with cake (banana is his favourite) and I have big strapping sons who are bottomless pits…they inhale food! If you have small sons start saving for groceries throughout teenage years…NOW! To celebrate a new oven element (Hooray!) I decided to bake a cake and do a roast chook with all the trimmings. Takes me straight to the top of the class with brownie points in the mother department. 175g Self Raising Flour sifted. 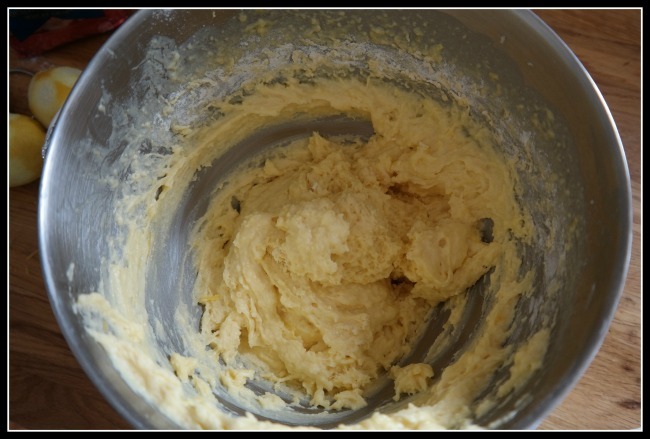 Cream butter and 100g of sugar using a bench mixer (or electric beaters) until pale and creamy. Add eggs one at a time, gently mixing. 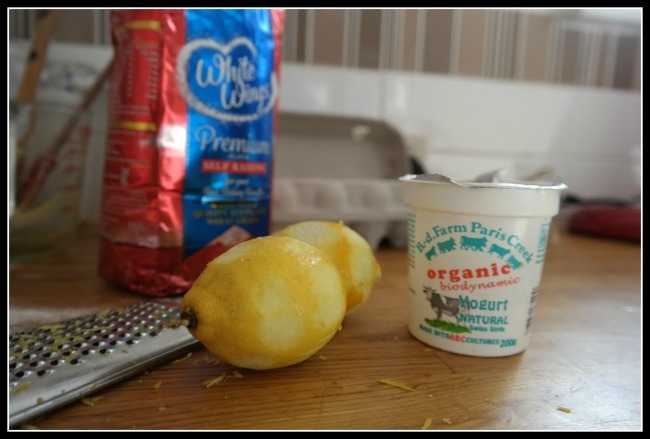 Add yoghurt and lemon zest, mix until all combined. Gently fold in the flour and pour into lined tin (use your favourite). Pop into pre heated oven (160 deg) for 25-30 minutes or until skewer comes out clean. In a saucepan add lemon juice and 50g castor sugar and stir on gentle heat until sugar is dissolved. 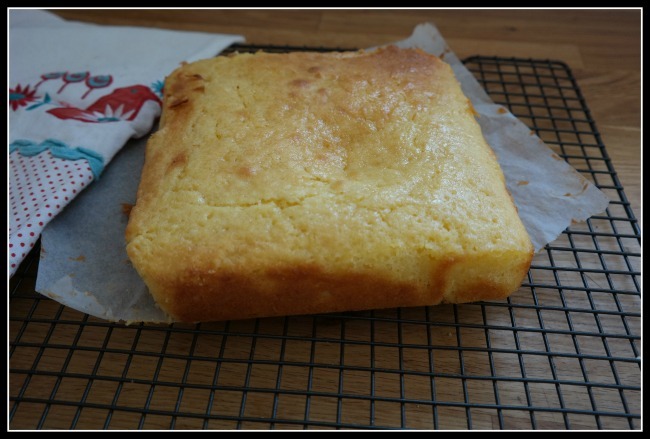 Pour syrup over the cake while still in the pan then allow to cool. Serve with a big dollop of cream and a pot of tea ? TIP. Place a plate over cake and tip to turn out if the tin. Let me know if you give this cake a go. What’s your favourite lemon dish or dessert? *items gifted for my editorial consideration. 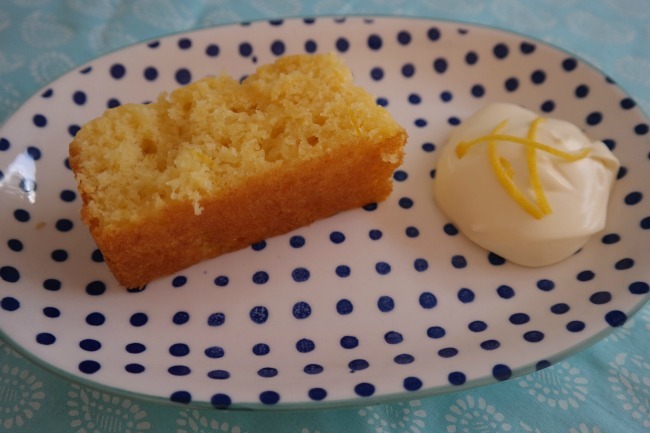 Lemon yoghurt cakes are my favourite. I love them so much, I have two recipes on the blog, one for the Thermomix and one without! It’s really yum with orange too! So. Much. Yum! Really? I find this post in my inbox just before dinner, when i am at my weakest and hungriest? I really don’t feel like cooking dinner now, just give me some of that lemony goodness. We were once without a working oven for 5 months! Can you believe it? The first thing I made when it was functioning again was a lemon meringue pie. I actually had pneumonia at the time and I didn’t really feel like it but I had promised the family so it had to be done! Five months is a long time! I could cope in summer with a bbq but the cold weather needs yummy goodness from the oven. Take one tin of condensed milk and about 6 lemons juices ( more if you like it really sour), beat these two ingredients until condensed milk is quite thick. Make sweet custard (or buy the ready made kind…I do) and a packet of Marie biscuits. I love lemon anything thanks jen! … mouth watering! glad your oven is fixed for you! my sister loves cooking and is the cake maker! … taking after mum! as you know I stay away from flour as it gives me air pockets … the bloat! but can’t resist her lemon yoghurt cake! … in fact that didn’t do that! must be the yoghurt! paris creek full cream yoghurt is the very natural business too! I call these syrup cakes because of the extra step in pouring over a syrup straight after baking. They are just THE BEST and my absolute favourites cause let’s be honest, if we’re eating cake, we may as well go the whole hog with the sugar. Double dose! Yes please!! We should definitely have a coffee sometime Bron…with lemon anything! I have a big tub of Greek yoghurt in the fridge and I have heaps of lemons. I am going to try this out tomorrow!!! Can’t wait , especially on these cold days nothing like cake and coffee. Looks awesome! Definitely going on the to bake list. It is awesome and super easy!! No fat yoghurt, bugger, I bought no fat. Will it still work out? Cake was a success. I pulled it out of the oven just as I had to leave to do school pick up. The kids cut it before I got to make the syrup. So now I half half a cake left that I will use the syrup for. YUMMO! Yummo Jen! I haven’t baked a cake in such a long time. I really should use that thermo machine thing and whip something up! My all time fav lemon dessert is lemon meringue pie!! Oh my – i love it so much! !